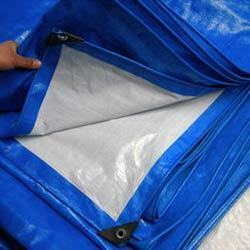 Wholesale Trader of a wide range of products which include agricultural tarpaulins and hdpe tarpaulins. 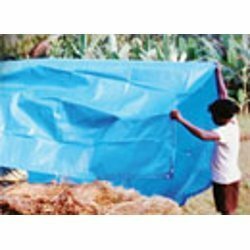 We are offering a wide range of Agricultural Tarpaulins. Excessively used in several agricultural requirements, our tarpaulins are perfect for outdoor storage, protection of food grains and other material. We are majorly looking inquiries from Tamil Nadu and South India only. 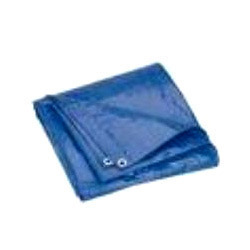 We are manufacturers and suppliers of a superior range of HDPE Tarpaulin, which is manufactured using polyester fabrics sourced from trusted vendors. These are also laminated with LDPE from 80gsm to 400gsm per square meter that ensures 100% waterproof UV resistant, heat sealed stronger joints and 100% leak proof nature. These are well known for their durability and easy to handle characteristics. To cater to the growing demands of the clients, we are offering HDPE Tarpaulins which are manufactured making use of qualitative raw material. We procured the raw material from the trustworthy vendors so as to manufacture these tarpaulins with assurance of quality as per the international standards. All these products are highly acclaimed in the markets across the world for their quality, customized designs and various other features as enlisted below. Looking for HDPE Tarpaulins ?